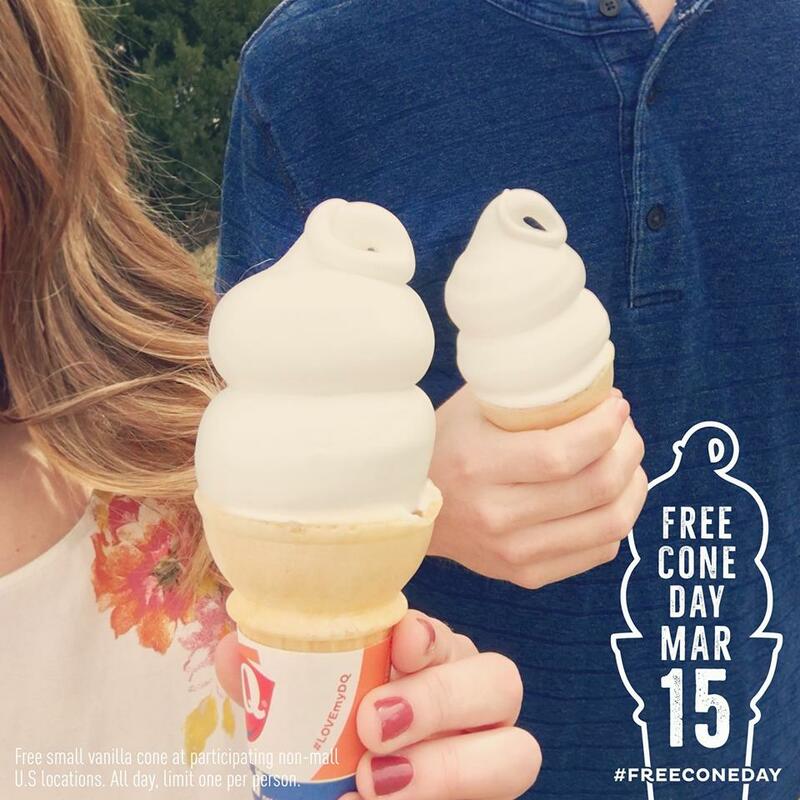 On Tuesday, March 15th, DQ is bringing ‪#‎SummerNow‬ on‪#‎FreeConeDay‬. The day where DQ gives a free small vanilla cone to every Fan in America. Tuesday, March 15 from 10 AM – 8 PM . Free small vanilla cone at participating non-mall U.S locations. All day, limit one per person.